Laguiole Stainless Steel Cheese Knives Set of 3 (P/N JD98616). Experienced craftsmen use the finest materials to make these knives by hand. Stainless steel provides lasting durability and beauty. 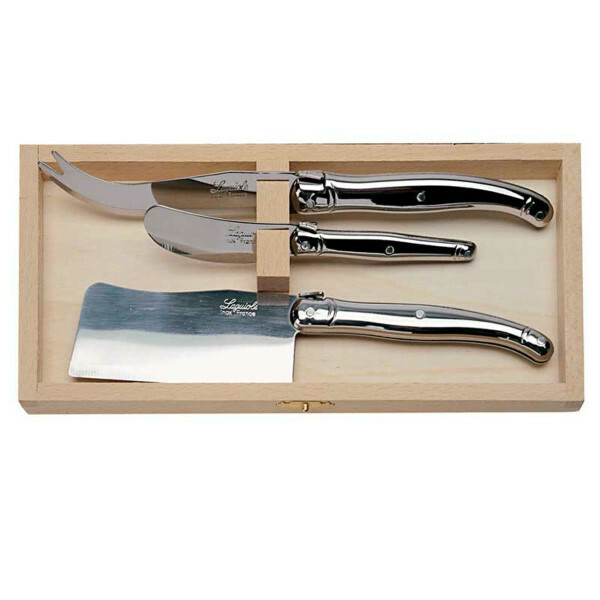 Set includes 3 knives presented in a wooden storage box. These stainless steel cheese knives are hand-made in France by Jean Dubost, offering exceptional quality and value. An exquisite gift or elegant complement to your wine & cheese fête. 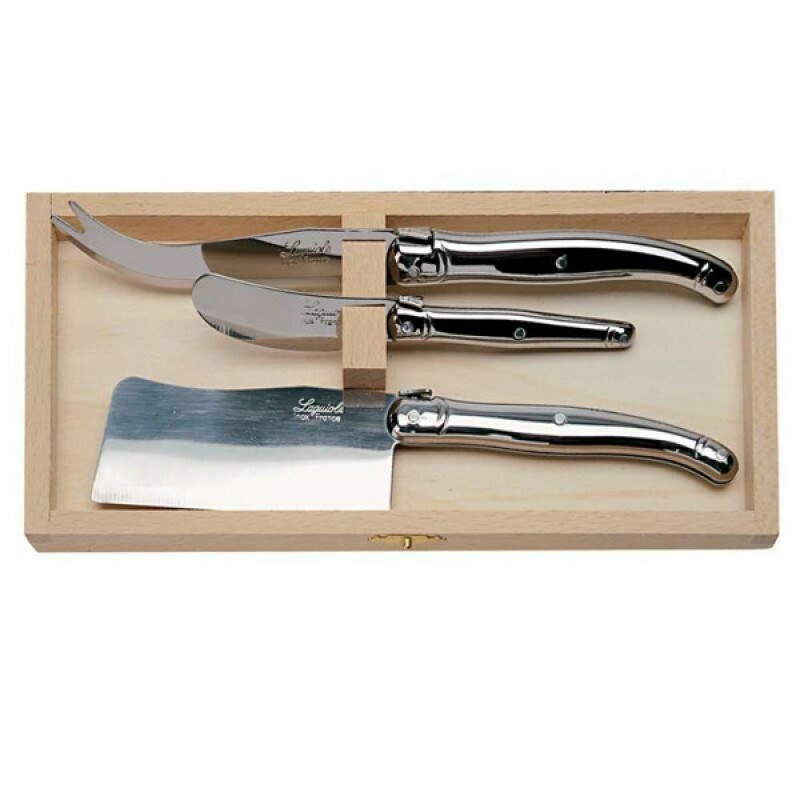 Each set includes 3 cheese knives packaged in a wooden storage box. The handles and blades are handcrafted from stainless steel.